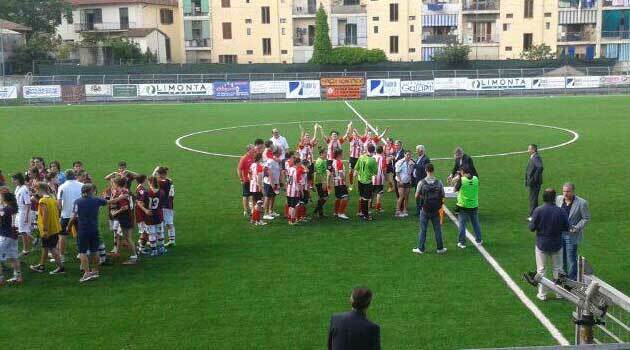 In Florence the grifoncelle of Valentina Belia have conquered the national title by beating on the penalties (1-1 in regular time) the Graphistudio Pordenone. Historic success for the company chaired by Valentina Roscini. The dream came true: Grifo Perugia is Champion of Italy Primavera. Valentina Belia's team beat the Graphistudio Pordenone on penalties (5-4) in the final, after the regulation time had closed on the result of 1-1. A rather difficult game for the grifocencelle, who were faced with a tough opponent, who especially in the second half tried to assert a greater individual technique. After the initial disadvantage (3 'pt), born from a corner aimed at the best by the Friulian Dri, Grifo has tried to react, but Luisa Pugnali in at least a couple of circumstances was not cold in framing the door . Thursday 12 June on the torrid synthetic of Florence Vicenza won against Bologna for 5 to 1 and takes home the championship of champion of Italy for the Juniores category. The tension in the field is sky-high for both teams: it takes 41 minutes because the game is unblocked with the unstoppable Guiotto that in two minutes trim two goals to Bologna and closes the first half on 2 0. A storm broke the resumption of the match for ten minutes: shortly after the Bologna, taking advantage of a red and white error, has an intuition and tries to reach the girls of Dal Bello marking the 2 to 1. But it is the only opportunity to score opponents. A quarter of an hour from the end the Vicenza takes possession of the opposing half of the field and begins to strafe the "enemy" door with Calandra at 30 ', Giacomazzi at 33' and again Calandra at 37 '. It is the apotheosis! At the 90 'the biancorosse raise the cup: Vicenza is the champion of Italy junior! "The title obtained at the national level is the recognition of what has been sown by the company in the promotion of the youth sector", commented the Vicenza Football President, Andrea Acerbi "It is proof that Vicenza is a strong reality with its own history at shoulders. The FIGC compliments make us proud and motivation to do even better. The players, the coaches, in particular Pedro Dal Bello, the managers and all our ultras goes my thanks in the name of the whole society ". The girls of Valentina Belia face Pordenone for the conquest of the national category title. 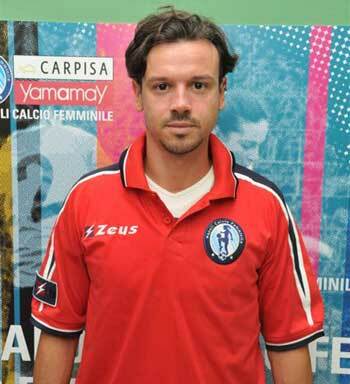 The coach: "We aim for victory"
La Grifo Primavera is close to achieving a dream. Thursday 12 June in Florence (beginning at 17.15), the girls of Valentina Belia will play against Pordenone the Italian category title. A finalissima to which the red and white team has come through a long path, which saw her first conquer the Umbrian Tuscan group in the winter, then in the spring to eliminate one behind the other Res Rome, Jesina and Naples. 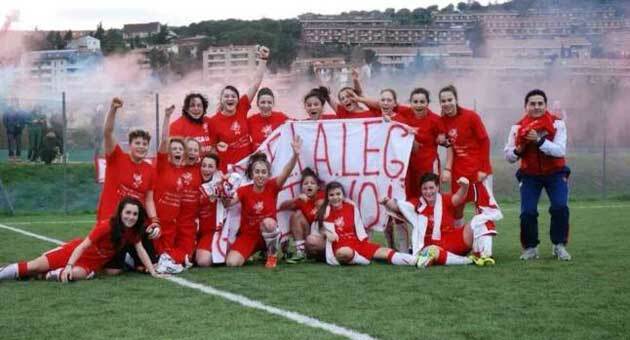 In the history of the female society of Perugia it is the first time that a youth team has arrived so far and now the desire is to write another beautiful page of history. "At this point - we want to clarify the President Valentina Roscini - we can not help but play our chances and aim to take away this great satisfaction At the beginning of the season I would never have thought of reaching the final: obviously the humility and work pay. Siena is consoled with Giovanissime in Piazza Duomo and awards to Nardi, Mazzella, Fambrini. Bitter epilogue of the adventure-Scudetto for the Juniores of Siena Women's Soccer, who see the final end fade at the end of an incredible race and played in what looked like an oven, rather than a football field. The Bianconeri, in fact, have dominated far and wide the race under a scorching sun, without however succeeding in finalizing the many opportunities created, and have finally even suffered the goal-defeat, in the only counterattack of the match. 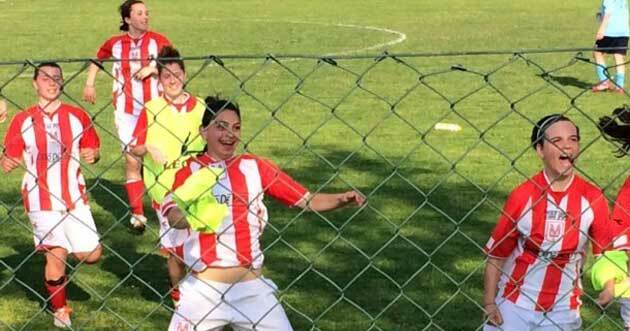 Unfortunate proof of the "tartarughine" Primavera coached by Alessandro Riccio who for the second year in a row despite entering the best formations in the category of Italy in the 4, fail this time with a breath. The going was over 2 0 for the Neapolitans, with numerous missed opportunities of a breath that would allow the "blue" to present themselves in Perugia with more confidence and instead, as often happens in football, did not go as hoped. It must be said that for the whole week the coach Riccio had preached humility and concentration well knowing the value of the opponents, but the young teams are like that is just the experience on the field to make the players grow and become important. And so the approach to Perugia was not the best. There were too many opponents who already at the 29 'went ahead with Marinelli. It is true that the absence from the first minute of Moraca and Cucciniello made itself felt, it is true that the Perugians did it all, but even playing at intervals like they know how to make "tartarughine" bite little. Something changed in the second half despite the expulsion of Di Maro that made the last glimpses of the race complicated. Highlight episode at 88. Moraca, substituted in Ascolese at 74 'got a penalty kick. But on the disk the same failed to send to the side and thwarting the certain final. And as often happens to the failed goal makes the goal immediately scored. Not even the time to recover and Pugnali made Sorbino dry by fixing the result on 2 to 0. 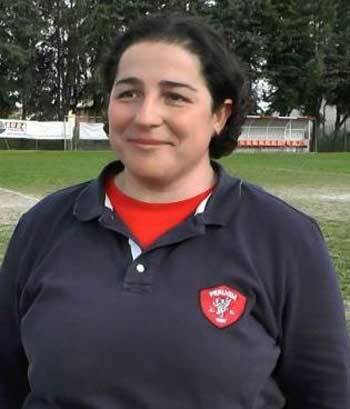 In the penalty lottery, despite the first penalty failed by the landlords ended 4 to 3 for Perugia that thus accesses the final of Florence with the other surprise Pordenone: For the Napoli Femminile the epilogue of a season born under a bad star , with the only awareness of having a great group on which to continue working. Today, however, even after these more mature defeats. 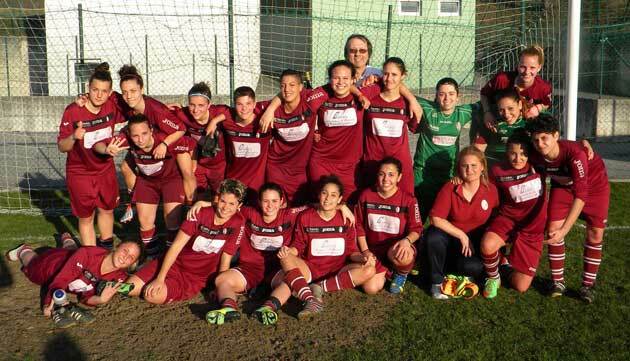 Sunday 8 June in the return match of the National Junior semifinals the girls of Dal Bello double the success of the first leg for 2 to 0 against Matuziana Sanremo and they fly in the final. The referee whistles the start of the match and the opponents take the field determined to avenge the shame suffered at home, but not even 10 minutes later to make things clear we think the Guiotto who immediately goes to the conclusion but pecking a pole. The first half ends on 0 0 but with a clear dominance of the red and white that after the interval definitively shoot the cards on the table at 15 ^ with a nice action by Pomi Silvia and ten minutes later with a penalty by Guiotto for a foul from same suffered. "It was a hard fought match on the physical level, even for the great heat" commented the coach Pedro Dal Bello "our goalkeeper has never been seriously committed. 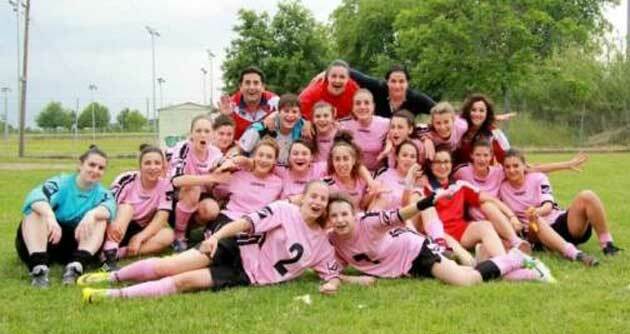 I must congratulate all the girls who have sweated this victory ". 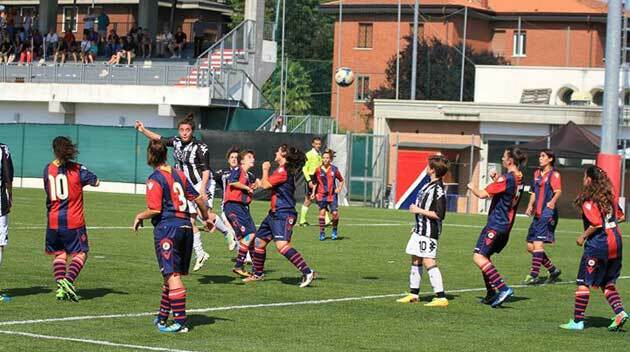 Thursday 12 June at 15.00 the biancorosse will meet the Bologna CF in the stadium of Florence for the National Juniores final. The Friulians come out unscathed from the Piedmontese journey and thus arrive in the final; The Torino caresses the dream of recovery in the first half but in the end has to raise the white flag. Turin is called to an undertaking to remedy the defeat for 3-1 suffered in the first leg; enterprise made even more difficult by the absence of the goalkeeper Polito (disqualified) that forces the coach Nicco to line up goalkeeper Enrica Lupo, who is the attacker. The Pordenone must instead do without injured Boattin and Crivici. The start of the game is crackling and the first shot on goal comes to the 6 'when Giugliano, well catered for by Manzon, forced Lupo to reject; but a few minutes later the Torino took the lead: at the 10 'captain Favole leaves a great shot from the edge of the area on which Aliquò can not oppose; 1-0 Turin and qualifying speech that returns poised. Marinelli the first half and Pugnali the second allow penalties. White-red enthusiasm wins from the spot. At the "Comunale" of San Sisto starts again from the 0-2 of Naples in favor of the partenopee, a business therefore not easy for the grifoncelle Valentina Belia, but approaching the race with the conviction and determination of those who really believe . After the first quarter of an hour of study by both teams, it is Grifo that takes the game in hand to try the impossible. At the 19 'the first big occasion. Marinelli is focused from the left and a large ball bowl behind the Neapolitan defense, Alessi emerges from behind and tries a lob that comes out very little. After just a minute is still Alessi to touch the lead, this time on the cross of Ceccarelli. The goal, however, is in the air, in fact at the 29 'here Marinelli pulls out of the cylinder a great shot from far away that surprises Sorbino, perhaps poorly positioned. LA GRIFO PRIMAVERA BELIEVES IN THE "REMONTADA"
The grifoncelle of Valentina Belia have to overturn the 2-0 inflicted by the age of Napoli in the first leg of the national semi-finals. It is played in San Sisto (Sunday 8 June 16 hours): the final is up for grabs. At Grifo Perugia, there is optimism ahead of the return leg that, after a week, will see the Primavera line up against Napoli. After the defeat in the land of Campania (2-0) the grifoncelle worked hard in the week, trying to find the necessary energy and above all the right concentration in view of a commitment that is worth a final. In San Sisto (Sunday 8 June 16 hours), the coach Belia will be forced to renounce Giovannucci, the victim of a muscular injury, but can count on the usual contribution of the players (still in age) and coming from the first team. Read more: GRIFO PRIMAVERA BELIEVES IN THE "REMONTADA"
Opportunities on one side and the other, the goal is only the rossoblu. The 1-0 however keeps the games open for the return race. SIENA - Undeserved defeat for the Siena Juniores Women's Soccer in the first semifinals of the Juniores shield. Siena and Bologna faced each other openly, alternating the game ball in the various phases of the match, but the opportunities created have on the whole painted the picture of a competition where the rossoblu were substantially worse under the goal. The first quarter of an hour is all of Juventus, but Velvi and Di Fiore do not frame the door, Bernardini's shot on punishment instead is easy prey to Lauria. First ball goal of Bologna brand at 27 ', when Nardi is amazing to stay up to the last snatching the ball from the feet of Antolini launched to the network, on the developments goes into the Casini network but in clear offside position.